Unlike other conversational Japanese classes, Japanese alphabets (Hiragana and Katakana) and Kanji will be taught to the students. Students will be instructed how to speak Japanese as well as how to read and write it! The practical age appropriate lessons build a solid foundation in Japanese that has served many Sakura Gakuen alumni with continued language studies. 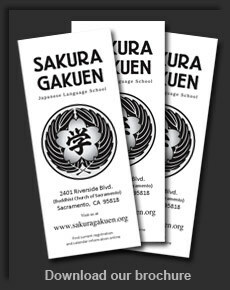 Sakura Gakuen Adult School offers classes weekly on Monday evenings. 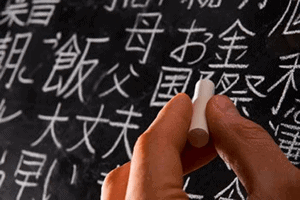 Classes are designed for busy people with a desire to learn Japanese. 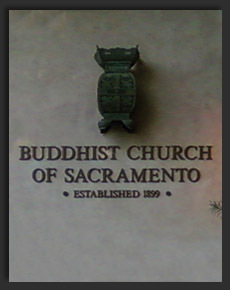 The instructors are native speakers. Small classes provide individual attention. There is no mandatory homework. Conversational Japanese classes without learning kana or kanji are offered. A quick course for travelers is available if damand warrants. Separate reading and writing classes are also offered. 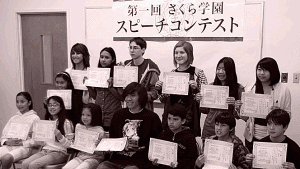 The school offers a Proficiency Exam preparation course that is great for high school or college students as well as adults who have studied Japanese and want to prepare for an exam such as the JLPT (Japanese Language Proficiency Test). The exam preparation class focuses on listening and reading comprehension and will have homework. A refresher conversation class is available for people who have learned Japanese at high school, college, or in Japan. Solid knowledge of Japanese is required. The emphasis of this class is on age, gender, and situation appropriate languages for effective communications. You can find more information and registration here.